Shielding your home from the harsh winter weather while simultaneously protecting it from the intense sunlight found at the higher altitudes of Golden, Colorado is your first concern when seeking out new siding. This is as easy as contacting Scottish Home Improvements. As your local siding contractor, we will show you all the various options in terms of materials available to protect your home. When you choose the right siding, you can enjoy the affordability, insulation, and low maintenance characteristics that it provides. For your home, you may consider James Hardie® fiber cement siding. This durable option allows you to minimize the annual maintenance on the exterior of your home that comes with most other siding options. It is hail and woodpecker resistant, eliminating two major causes for wear and tear to the exterior of your home. 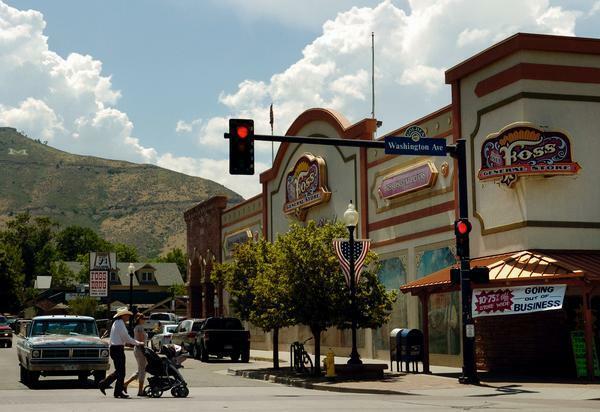 In Golden, the weather can drastically change overnight. This is no longer a concern when it comes to your siding because fiber cement resists swelling, warping, cracking, or splintering no matter the temperature fluctuation. James Hardie® fiber cement siding is also highly resistant to impact, termites, fungal decay, moisture, and even fire. James Hardie® backs its ColorPlus® products with the strongest warranty in the industry – a 30-year non-prorated, transferable, limited product warranty with a 15-year limited warranty on its ColorPlus® Technology finish that covers both paint and labor. This product manages to be a low maintenance exterior finish while simultaneously providing a beautiful aesthetic to match the unbeatable landscapes found in Golden. James Hardie® siding can be crafted to match your current siding or you can choose some from a variety of styles to create a fresh look for your home. Scottish Home Improvements has a wide variety of siding options, so you’re bound to find the right fit for your home or business. We do offer natural cedar siding, and though cedar siding is beautiful, it’s not the obvious choice in Golden due to the higher cost and additional maintenance requirements. However, if you do choose the real cedar for even some of your siding, we can install it with an excellent weather seal so you can enjoy it longer. If you want a durable and low maintenance option for a cedar siding look, James Hardie® has a fiber cement finish that replicates the appearance of natural wood without the annual hassles that traditional cedar brings. Additionally, we carry a wide range of traditional wood siding options from locally sourced, family-owned businesses. Vinyl siding is available for budget-conscious Golden homeowners looking to enhance aesthetics and for a siding option that’s lower maintenance. With moderate durability and endless color options, homeowners can transform their curb appeal with vinyl siding. Prodigy insulated vinyl siding is also available for those that are looking for energy efficient options. Vinyl siding is typically recommended for homes valued under $250K. Golden commercial propertied tend to choose steel siding for replacement. Steel siding features high impact resistance and the lowest maintenance requirements available. Perfect for businesses that need to focus their time elsewhere, steel siding can withstand the harsh weather extremes and climates Golden experiences. Alside steel siding features wood-like grain texture for homes that require a better aesthetic than traditional steel siding. Stone siding and stone accent work is also available for Golden homes and businesses. 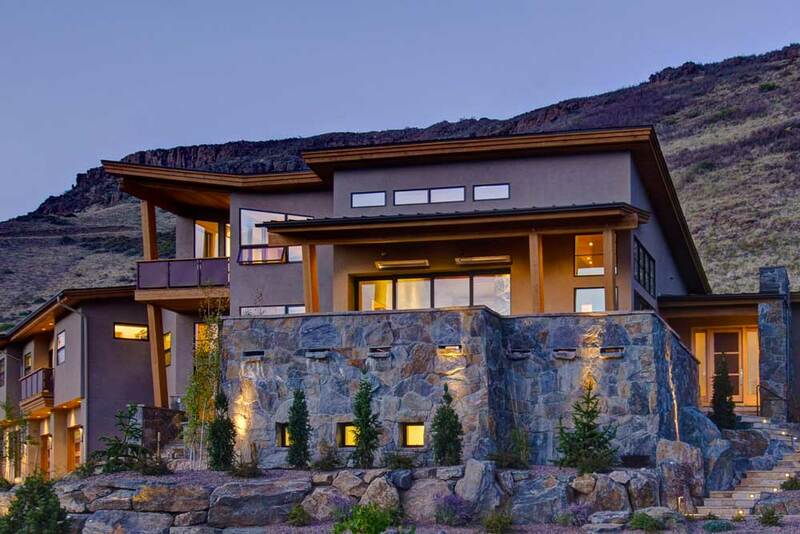 Scottish Home Improvements is partnered with local stone distributor Sunset Stone in order to provide authentic Colorado stone for your Golden property. From complete stone facades to intricate stone accents, we’ve got you covered. In addition to siding installation, we also provide siding repair for significant damage often caused by Colorado’s often extreme winter weather. Even if your current siding has faded or is a discontinued style, we have a variety of resources to perfectly match our repairs to your current siding, protecting your home without sacrificing appearance. We understand that residing your home or business can be a very significant financial investment, making siding repairs a wonderful option to adding comprehensive protection to your property. Some of our employees live locally in Golden, and we are all aware of the vast differences in the architecture of one home to another. Scottish Home Improvements offers a variety of designs and products in order to meet the needs of individual homeowners. We treat each client with a unique perspective, making their home one of a kind. Our solutions will always be tailored to your specific project. Scottish Home Improvements has been the popular choice for the past ten years in Colorado. Over the years, Scottish Home Improvements has installed siding, windows, roofs, gutters, and decks on hundreds of homes in and around Golden. We are happy to share some of the addresses with you so you can drive by and look at the quality and appearance of the homes we have remodeled. Give us a call or send an email to ask any of your siding questions, to set up an on-site consultation, or to get an estimate on your exterior renovation today!